The 2009 British Academy Film Awards have been held at the Royal Opera House in London's Covent Garden. Alesha Dixon was one star sought out by the press photographers. Penelope Cruz employed the services of an umbrella to fend off the inclement weather as she arrived. Showbiz couple Brad Pitt and Angelina Jolie were just two of the Hollywood stars to turn up in London. Also treading the red carpet were Dev Patel and Freida Pinto, whose film Slumdog Millionaire went home with seven awards. Meryl Streep was another attendee needing an umbrella, though she was still all smiles. Popular singer and occasional actress Kylie Minogue was full of beans as she posed for the cameras. 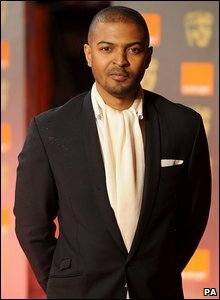 Actor Noel Clarke - star of Doctor Who and urban drama Adulthood - went home with the Bafta's Rising Star award. 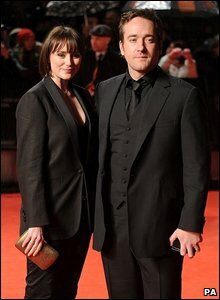 Keeley Hawes and Matthew MacFadyen, in matching black outfits, were among the many celebrity guests. Hollywood legend Sharon Stone added her own touch of glamour to the proceedings.